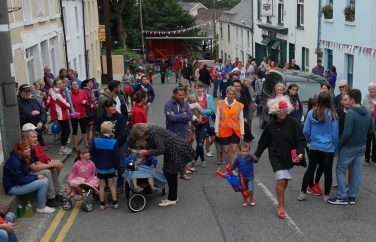 The Schull Agricultural Show takes place on 23 July. 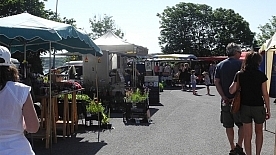 As usual Schull Country Market relocates to the Town Park and is open from 10am onwards. 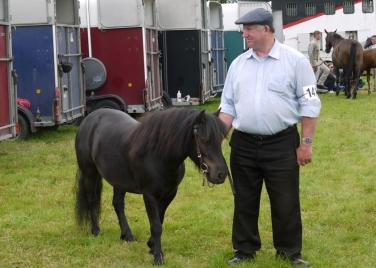 The Show starts at 12am with horse & pony classes, fun dog show, special pets’ corner … and lots of new classes to tempt in the indoor section ~ home baking, arts & crafts and more. Prize schedules can be seen and downloaded on schullshow.mizenonline.com. Entry forms for indoor sections will be distributed to local primary schools so get started on those masterpieces! Schedules will be available in the Tourist Office, Library or from John Barry Butcher. The Schull Regatta committee is already hard at work gearing up for another fun filled weekend in August. All the usual events will be taking place and it is hoped, a huge turn out for the traditional Sunday parade through the village. 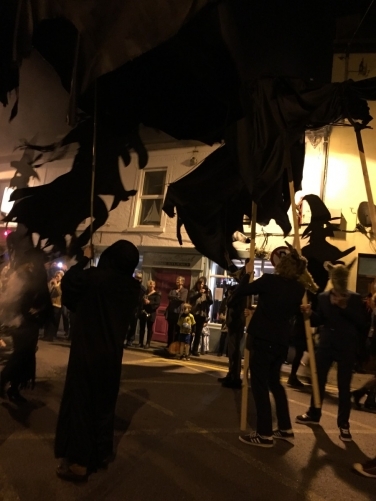 The theme this year is “What You See in the Sea” so they are hoping to have lots of pirates, jellyfish, shipwrecks, sailors, starfish, submarines, swimmers, mermaids… and much more in the parade. Understand we will have a celebrity judge this year so get creative and get involved. A huge congratulations to Danny, Paul & Anne Marie on the launch of the highly anticipated Schull & Crossbones Coconut Yogurt. Inspired by the story of a ship wreck off the Cosheen Head that had a cargo of coconuts, the yogurt is free from dairy, lactose, gluten, allergens and with no added sugar it is positively good for you, as well as delicious! It is available in our local Centra and in Field’s of Skibbereen ~ we wish them well and good luck with this new West Cork product. 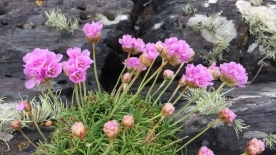 July visitors to the Blue House Gallery in Schull will experience an exciting and varied array of work from painters Diarmuid Breen and Lars-Eric Bueb, and sculptors Don Cronin and Moss Gaynor. The show runs from 7 – 26 July with the opening from 6-8pm on Friday 7 July; all are welcome to meet the artists, browse the artwork and enjoy a glass of wine. Diarmuid Breen’s exquisite oil paintings draw on the uncertainty and banality of everyday life. His inspiration is found in old books and photographs, which imbue the work with nostalgia whilst it maintains its pertinence to contemporary experience. Diarmuid’s process starts with small watercolour sketches; he then makes a full size preparatory painting on paper and if he’s satisfied with it, paints it on canvas. Don Cronin’s sculptures contain echoes of urban structure. The work presented here is the result of a sustained approach where pieces are produced slowly through a series of intuitive modifications and revisions. Seemingly resolved elements are subject to dissection, reconstruction and manipulation in a process of progressive refinement towards an aesthetic resolution. Moss Gaynor works primarily in metal, often combining other media such as found objects, stone, wood and glass. The ever changing dynamic of West Cork, where land meets sea meets sky, provides an endless source of inspiration for his work, whilst the man-made world of architecture and industrial design informs much of the aesthetic of the finished piece. 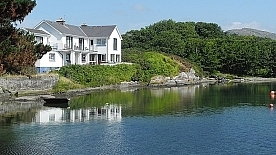 For more information visit www.bluehousegalleryschull.com. An Evening of Comedy presented by Schull Drama Group. 30th June, 1st & 2nd July & 7th, 8th & 9th July @ 8pm. Tickets €10 at the door. 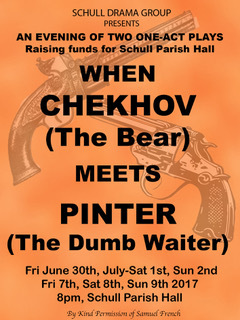 Proceeds from these performances to go to the Parish Hall refurbishment fund. Check out their Facebook page for more details. Keep an eye out for posters about the monthly ‘Scoríacht & Company’ evening in Newman’s Corner House. This month the theme is “Out to Sea” and as usual you can expect a diverse and interesting mix of things all loosely connected to the sea. 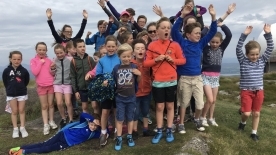 SmART-up-Productions are holding workshops and summer camps in their new creative space ~ The Loft (access from Brosnan’s carpark) ~ children will experience art, drama, film and much more. Workshops run from 1st -7th July & 24th-30th July, for children aged 6 and older. €85 for the week or €15 for a day. For more information contact Sally Smart 087 676 0734. Drop-in arts, crafts & drama workshops are scheduled for 1st-5th August. Hackett’s have a great line up of live music, check out their notice board for details. It is a little early to start doing anything but not to start thinking about ~ what will Schull be doing for Hallowe’en? If you have any ideas, suggestions or want to collaborate with others who might already be working on something, get in touch. We now have a reputation for staging incredible street shows so let’s not let our fans down!